A member of the faculty since 1992, Prof. Ryden studies the formation, alignment, and shapes of galaxies, and the large-scale structure of the universe, and cosmology, including tests for dark energy, dark matter, and the properties of the primordial density fluctuations. 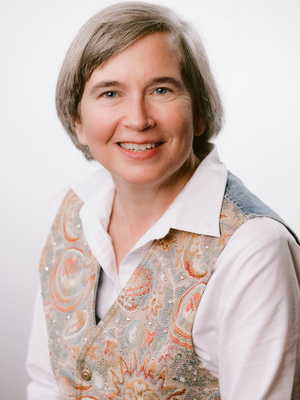 She is internationally known for her textbook Introduction to Cosmology, which won the first Chambliss Astronomical Writing Award in 2006 from the American Astronomical Society, and is now in its second edition, and she co-authored Foundations of Astrophysics with Prof. Bradley Peterson, a beginning-level text in astrophysics for astronomy majors. In recent years she has been editor in chief of the Ohio State Graduate Astrophysics Series, and principal author of the first three books in this series: Interstellar & Intergalactic Medium (2015 with Prof. Richard Pogge), Dynamics (2016), and Stellar Structure & Evolution (coming in 2018 with Prof. Marc Pinsonneault).